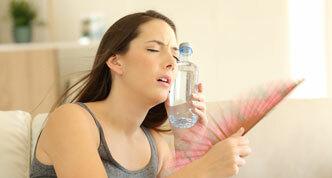 Do you have hot & cold spots throughout your home? If you have rooms that never seem to warm up in the winter or cool down in the summer, you suffer from allergies, you have excessive dust in your home, or you experience high energy bills, Aeroseal duct sealing solution could be the answer to your home problems. This is the single most effective and efficient method for duct sealing NOW available! 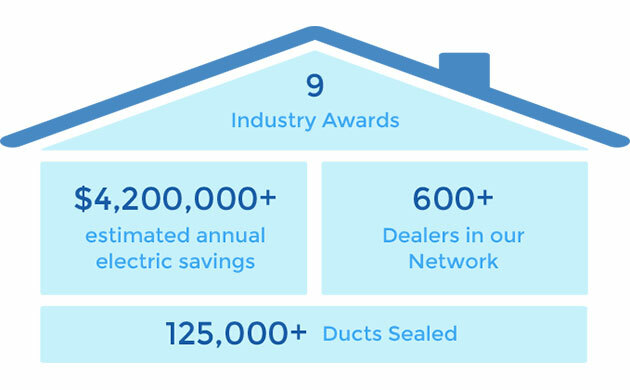 In fact, the U.S. Department of Energy has proclaimed Aeroseal technology to be one of the top 23 most important energy conservation technologies for consumers to be released since the department was first established in 1977. 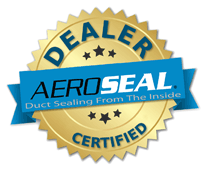 The Aeroseal process is designed to seal the leaks in your duct system—even the ones hidden behind walls and under your home’s insulation (which can account for around 90% of your ductwork). Aeroseal is a safe and non-toxic method that has been used in thousands of homes, schools, hospitals, and government installations throughout the country and world. The process usually takes less than one day to complete and provides you with “Certificate of Completion” that illustrates the before and after results. If you are interested in making your home more comfortable, providing a healthier environment for your family or saving money on your energy bills…permanently, then please fill out the survey and submit it to us. We will then contact you and arrange for a FREE duct leakage inspection before scheduling your duct sealing service.